This is a fantstic all round brewery cleaner that is suitable for use all on all surfaces. This is a fantastic all round brewery cleaner that is suitable for use all on all surfaces. It is the key ingredient in the “Eco” and “Oxygen” type cleaners, as well as the popular PBW. This product needs to be used with hot water, about 60c to work at its best. It can be used at almost any strength starting at just a teaspoon per litre for light duties. For an example we have been using just a tablespoon full to three litres of hot water in a soiled AEB keg with sparkling results! 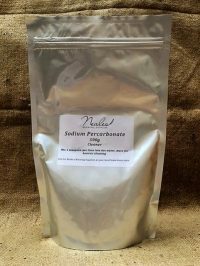 Works brilliantly on dried on yeast deposits in used fermenters, stainless or plastic. Wear protective clothing when handling undiluted. If in eyes rinse continually for several minutes, remove contacts and continue to rinse.